Scroll down to learn about an important group of indigenous people, immortalized in early photographs. 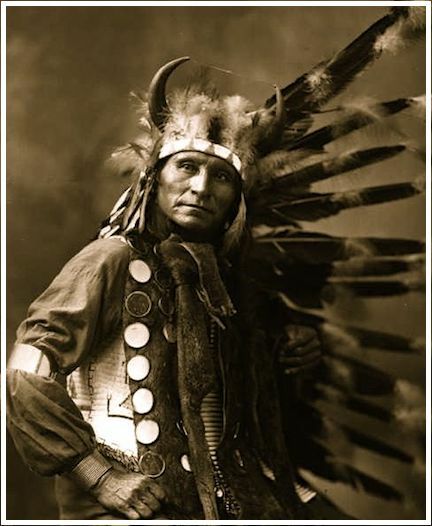 Below is Chapter 8 of the FREE full text version of Crazy Horse Appearing, a new life story of the great Lakota Chief. By the way, the photo shown above really is Crazy Horse. Crazy Horse Appearing is a contemporary award-winning novel , and is totally FREE for you to read. It is a gift from the sacred spirit of Crazy Horse. Read on to see photos of indigenous people, learn about indigenous tribes, immerse yourself in indigenous customs, experience indigenous culture, and even study an indigenous language. Please enjoy this new life story of Crazy Horse, with fresh new facts never before revealed, along with the ONLY fully authenticated photo of Crazy Horse known to exist. In 1871, the only child of Crazy Horse was born to Sheena Sapa. The girl was called They-Are-Afraid-of-Her, after Crazy Horse's favorite aunt. Sheena dressed the baby like a Princess. Crazy Horse started spending more time at home. He showered his little one with toys and trinkets. A plush leather doll with no face. A tiny tom-tom drum. A rawhide noise maker with acorns in it. A sand-filled rawhide rattle. He brought her fresh wildflowers from the hillside. He danced around his lodge and acted silly just for her. Only close family members ever saw Crazy Horse behave in such a way. He would do anything to see that baby smile. It is safe to say that he adored her. 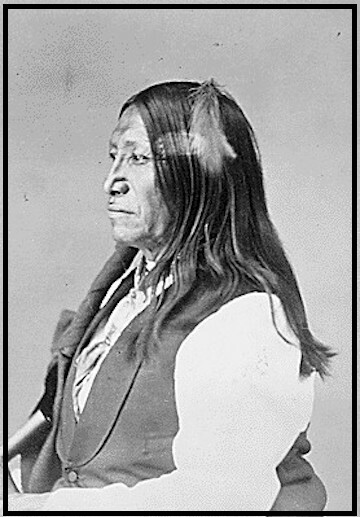 The following year, not far from Fort Laramie, Crazy Horse was photographed at the suggestion of two traveling companions - his old friend Little Bat, and his new friend Frank Grouard. Grouard was a talkative, fast-thinking individual who said he was part Cherokee, but he sure knew a lot about the ways of the white man. He also spoke both English and Lakota. He even supplied military intelligence to the Chiefs. 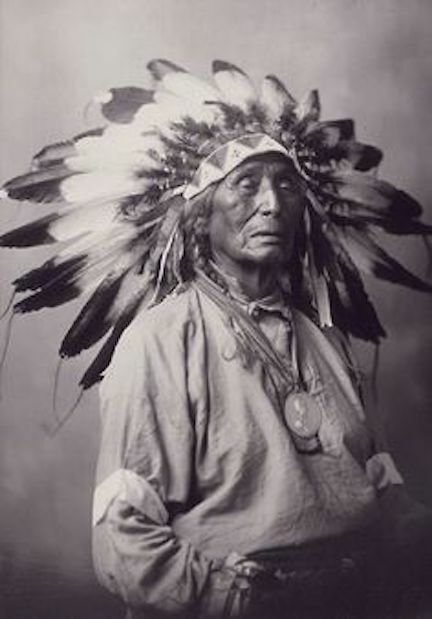 With them he had smoked the sacred pipe, participated in a sworn truth ceremony, and recounted his many fine deeds and brave accomplishments in many exotic, faraway places. Crazy Horse appreciated the wealth of information he provided. Crazy Horse didn't need much coaxing to be photographed. In fact, he must have been fascinated by Grouard's explanation of the new technology. 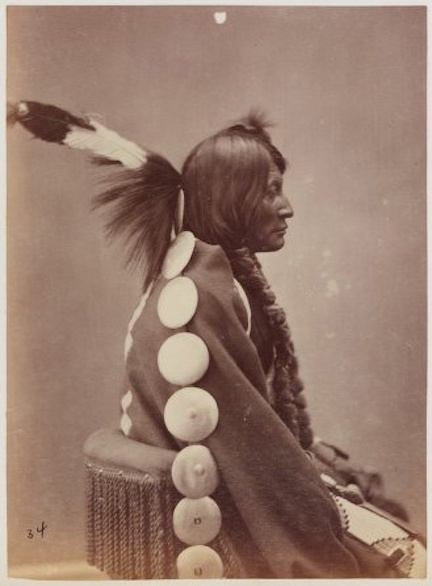 The photographer was also photographing many other prominent Lakota people at the time, and was offering fair payment for the sitting. Crazy Horse must have also considered what a wonderful gift it would be for his daughter, to remember her father someday. Into the studio walked Crazy Horse, Little Bat, and Frank Grouard. Milling about the area were the VIPs of the Northern Plains. 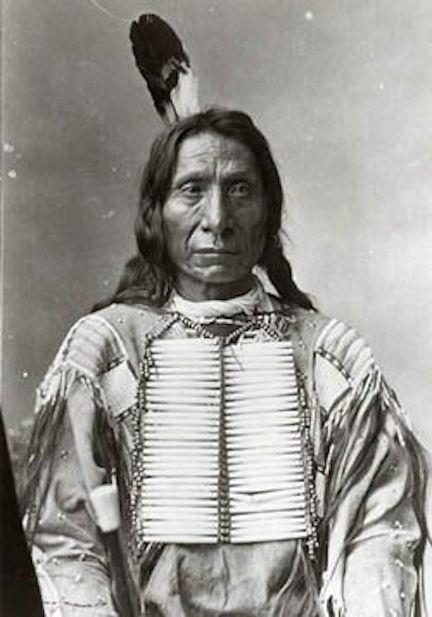 Among them were Gall, Red Cloud, Spotted Tail, Swift Bear, White Thunder, Many Horses, and many more, including Crazy Horse's cousin Spotted Elk (known to whites as Bigfoot, later killed at Wounded Knee with most of his family and followers). Some of the men wore collared cotton shirts, often paired with dark suit vests. Other men sported traditional attire. Some accessorized with fur caps and brass arm bands. 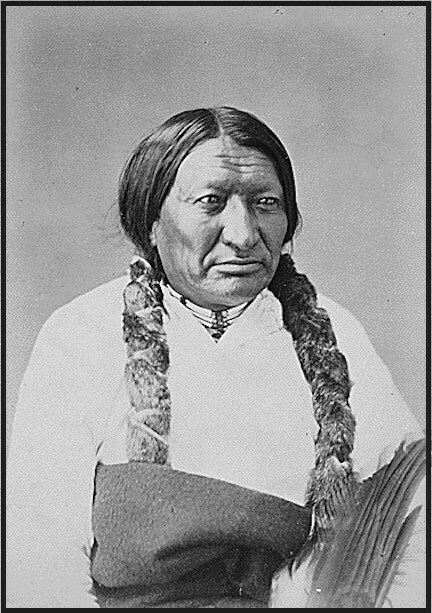 None looked finer than Spotted Elk, handsome as a man can be in a gleaming white tailored shirt, around his waist a rich red blanket with a thick band of bead work sewn in. His hair was neatly braided and evenly wrapped. So magnificent were his features, so regal his expression, so gigantic his perfectly formed hands, that not a prop was needed to adorn him. Suddenly, from under a small black blanket that covered his head behind a camera burst an energetic, stocky man with a bushy beard the color of rust and a great mop of messy auburn hair. He was Alexander Gardner, professional shadow-catcher. “Ah! A messenger! Do you bring word from the Great Chief?” asked Gardner of Crazy Horse. “He IS the Great Chief!” huffed several offended Oglalas who stood nearby. Gardner studied Crazy Horse, sized him up aesthetically, and winced. “Is that... what you're wearing?? ?” Gardner asked. “Yes.” answered Crazy Horse in a politely murmured response to what would have seemed to him a silly question. 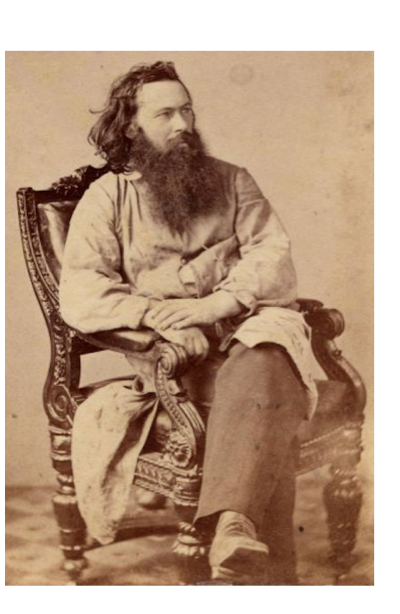 By the time photography found a foothold in American culture, traditional Indian fashion design had taken a ghastly turn. Feathered, quilled, and beaded leather garments were gradually replaced with cotton fabric, creating a weird, Indian-Washeechu hybrid look. 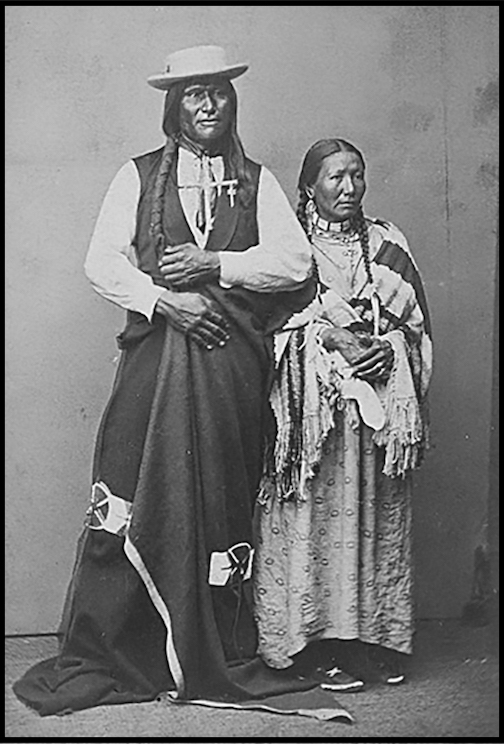 In the absence of animal skins, Lakota men wore tailored print cotton shirts and vests, or dark suit jackets with the sleeves chopped off. These were often paired with breech cloths. To imagine such an incongruous ensemble is to understand why so many of them were only photographed from the waist up. Making matters worse, Crazy Horse wore rags. Anything better than this he gave away. He showed no desire for earthly belongings. There were always those worse off than he was. If there was a wagon raid, Crazy Horse would let everyone else have first pick, taking only what was left as his own. And so it was that the clothes he wore on that day were like the clothes he wore on any other day of his adult life - a wrinkled, ill-fitting shirt, worn thin at the seams with age; a breech cloth; a faded scarlet blanket wrapped around his waist. His hair was clumped and matted from years of flying freely in the wind. He wore it swung around to his front left side, with a strip of twisted trade cloth tied haphazardly around it. Fans of folklore are fond of saying he only wore fine leather garments. On the contrary, Crazy horse dressed like a man asleep in his bed. Folklore fans, take note: You do not have to wear a crown to be a King. Alexander Gardner eyed Crazy Horse, tsk-tsking at the disheveled sight of him, then began rummaging through a large wooden trunk he kept nearby. “Okay! Here we go!” chirped the shadow man a moment later, moving toward Crazy Horse with his arms full of props. “Wear this,” Gardner advised, handing Crazy Horse a bone breastplate. Crazy Horse slipped the string of the breastplate smoothly over his head. “Hold this,” added Gardner, supplying him an unloaded handgun. Crazy Horse took hold of the gun as expertly as if it had grown from his hand. Then Alexander Gardner pushed a short wall in front of Crazy Horse and draped over it a buffalo robe. On that, he placed a band of metal discs, then ran to his camera and put the blanket back over his head. “O... kay! Now don't move until I say to,” he said. Then Alexander Gardner held his breath and captured the shadow of Crazy Horse, which is shown at the top of this page. His physique is slight and wiry. His complexion is lighter than most. His facial features are stunningly symmetrical and exceptionally pleasing to behold, yet somehow hard to look at. His pointed, close-set, almond-shaped eyes are more intense than a laser beam, and the color of sunlit amber. His nose is so very high-set on his face that one can see why it appears way up between his eyes in battle drawings and Winter Count Calendars. His wide, full-lipped, downturned mouth frames a strong, angular chin. His soft hair has changed with the advent of manhood from blonde to light ash brown. Along the left side of his face runs a gunpowder scar. He looks very much like his cousin Fast Thunder. For reasons unknown, soon after photographing Crazy Horse, Alexander Gardner quit the photography business for good, moved to another state, and started an insurance company. 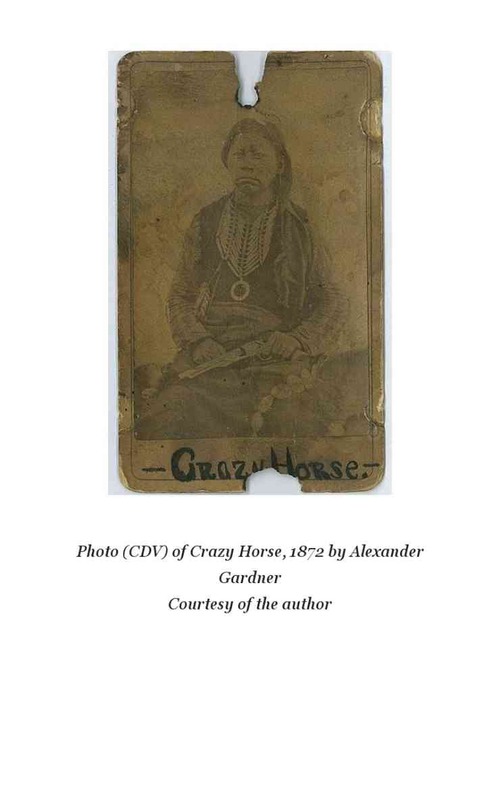 In the transition, the image of Crazy Horse went missing, remaining lost until 2010, when it was discovered on eBay and given as a gift to a descendant of Crazy Horse's family. It is understood that on an earlier occasion, Crazy Horse was approached by a photographer, but declined the invitation to be photographed. This is perhaps because the photographer did not offer payment. 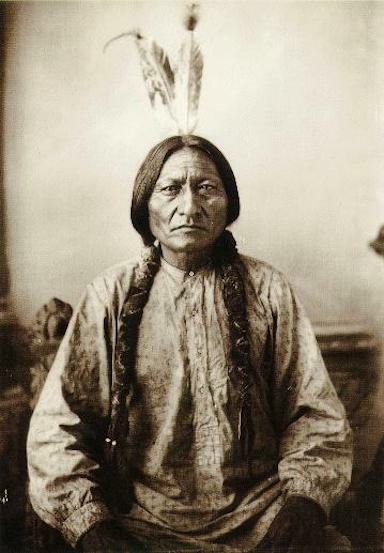 This incident has caused misinformed historians and Lakota grandmas everywhere to believe that Crazy Horse had some kind of phobia about having his picture taken. But many who would know will agree that Crazy Horse was a man who always looked to learn new things. 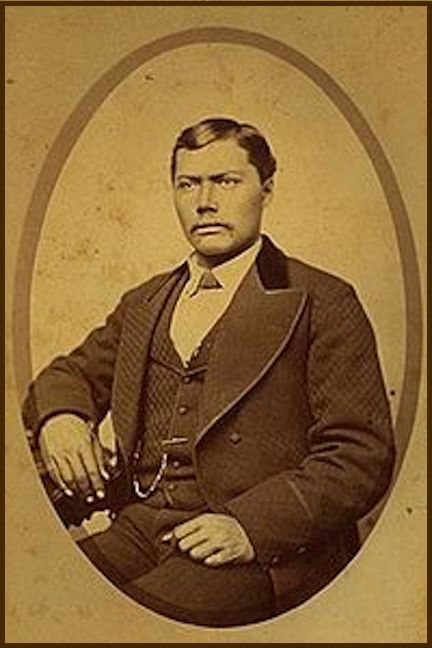 Quite possibly Crazy Horse's uncle on his mother's side.